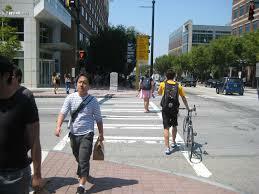 Atlanta is one of the most walkable cities in America? Really? According to a recent report by George Washington University research professor Christopher Leinberger Atlanta is the 8th (of 30 major cities) most walkable city in America. That just sounds incorrect. When the term “walkability” gets thrown around, a handful of cities immediately come to mind: Portland, Boston, Washington, and perhaps Seattle and San Francisco. Conversely, many people probably don’t conjure up images of cities like Dallas, Orlando, Phoenix, and, uh, Atlanta. So what exactly is “walkability?” What is a “walkable neighborhood?” The term is casually used all over the place, including on this site, with little clarity or definition. Let’s address the issue using Mr. Leinberger’s significant, if a bit misleading, report on walkable US cities. Atlanta is ranked as the 8th most walkable American city. Why? The report creates areas in each metropolitan area called “Walkups;” defined as areas with a Walkscore of 70 or greater and containing either 1.4 million square feet of office space or 340 thousand square feet of retail space. Walkscore is a website that ranks areas or neighborhoods on a scale of 0-100 based on their walkability. Cities in the report are then ranked based on percent of total metropolitan area retail and office space located in Walkups. Washington ranks first with 43 percent while Atlanta ranks 8th with 21 percent. This is the point in which your thumb and pointer finger should slowly be raised to your lower face and the “thinking man” position should be fully assumed. 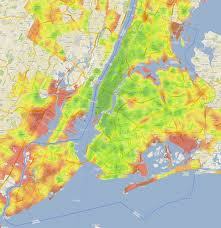 First off, how does Walkscore determine walkability? Walkscore is a great service, but the methodology has always been controversial. The site creates walkability scores (see methodology here and here) based on the number of amenities (doctor, grocery, restaurants, etc) within walking distance and, importantly, the ability to actually walk to those places. The existence of sidewalks, small blocks, and narrow streets/roads all contribute to higher scores. Walkscore is controversial for the same reasons the report shouldn’t be taken at face value. The data used by Mr. Leinberger is probably accurate and it creates a great portrait of office and retail development in major American cities, but it misses the point of making our cities more walkable. Since the definition of a “walkable” area has no specific definition, people are free to create their own. The most literal definition is exactly what Walkscore and the report employ: an area that allows one to walk to those places that are both needed and desired. This definition leaves out a crucial point, though: If the ability to walk around certain places is conditioned upon not actually being able to get to that place by walking, is it really walkable? The report further goes on to rank cities by their growth in walkable developments or growth in existing walkable areas and Atlanta does even better, placing 5th. While this is again plagued by the same oversight of housing data, it does show that Atlanta is adding a significant amount of retail and office development in walkable areas. This means that, presumably, more and more people are attracted to shopping and working in this type of environment. Even if they aren’t, they are going to have to visit these places since this is where development is occurring. Accordingly, without increased housing or transit options in the report’s walkable areas, traffic to and from these locations is only going to increase. Clearly housing and transit options should be taken into consideration. 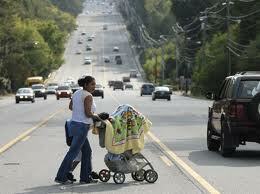 We all know that Atlanta has a long way to go before it should be considered a top US city for pedestrians. A recent report by the National Complete Streets Coalition ranked Atlanta as the 8th worst city for pedestrians as 839 pedestrians were killed in the metro area between 2003 and 2013. While Mr. Leinberger’s report sheds great light on the growth of commercial property in walkable areas, the growth of residential property in such areas is equally important. Increased commercial development in walkable areas may reduce the overall number of auto trips by allowing people to walk between errands instead of driving, but without a similar growth in residential development we will still be reliant on congested thoroughfares, which are inherently dangerous to pedestrians. The fact that two reports simultaneously rank Atlanta as the 8th most walkable city in the US and the 8th worst city for pedestrians in the US should say something about our cities as a whole. If one of the most dangerous cities for pedestrians is also one of the best cities for pedestrians then we have a long way to go in creating more walkable cities nationwide. None of the top seven most walkable cities in Mr. Leinberger’s report appear in the top 10 most dangerous cities for pedestrians, so a quick inference could be made that the US really only has seven major cities that could actually be considered good walkable cities. Interestingly, but predictably, all of the most dangerous cities for pedestrians are located in the Sunbelt region of the south and southwest. This region, with its explosive growth needs to pick up the pace in creating walkable development; unfortunately, only Atlanta and Miami are in the top ten for future growth in walkability. Since more and more people are demanding walkable development, this could give both Atlanta and Miami a significant advantage in attracting those people or businesses looking for a Sunbelt relocation. Ultimately, the word “walkable” needs to amended to give audiences a better understanding of the current state of land use. Scattered nodes of walkable areas can only transform a region from a traffic-clogged, auto-dependant one to a more pedestrian-friendly one if people can actually live in the walkable areas. In order to promote this way of thinking, the term “walkability” should probably take into account not just how easily someone can get to businesses on foot within a geographical area, but how someone gets to the area in the first place. This factor could be built into the term or could just be an additional factor analyzed alongside a more literal definition of walkable. Picking on the AJC isn’t the objective of this site, but a headline that says Atlanta is a walkable city based on Mr. Leinberger’s report just isn’t accurate. The newspaper shouldn’t be blamed, though, when the report appears on its face to make the same claim. A more complete definition of the term “walkable” would go a long way in providing audiences with a more accurate picture of how land use changes will affect their daily lives.